Show guests your most proactive side. Hotel guests want easy, fast and personalised service. 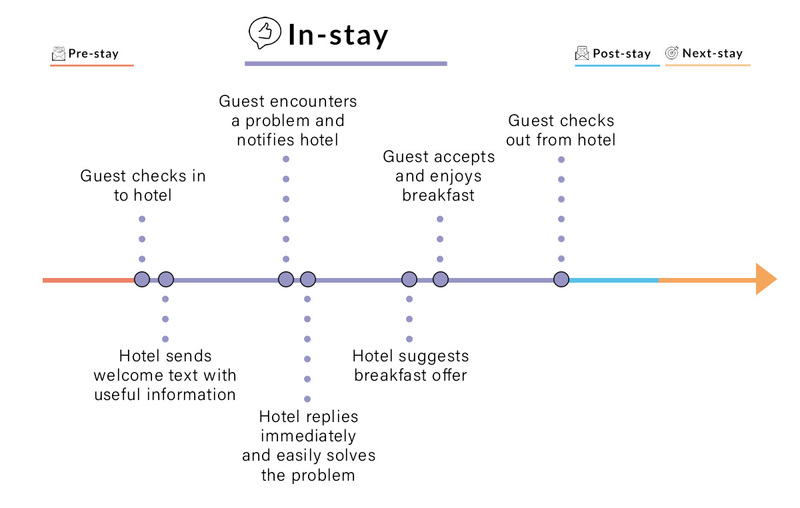 With In-Stay we help you serve today's evermore connected guests with beautiful & seamless ways to communicate with the hotel during the stay. We don't want to replace a personal hotel experience with something else; we want to enhance it and make it even more personal. Find & solve problems faster than ever before. Detect and solve problems in real-time. There is nothing worse than receiving a negative review when it could have easily been avoided. Enable live communication streams with your guests to ensure that they have everything they need and can enjoy their stay to the fullest. Save time and costs while turning your guests into returning customers. Real-time chat is communication made right. As technology develops, so do hotel guests' expectations. Communication today is far from what is was only ten years ago. 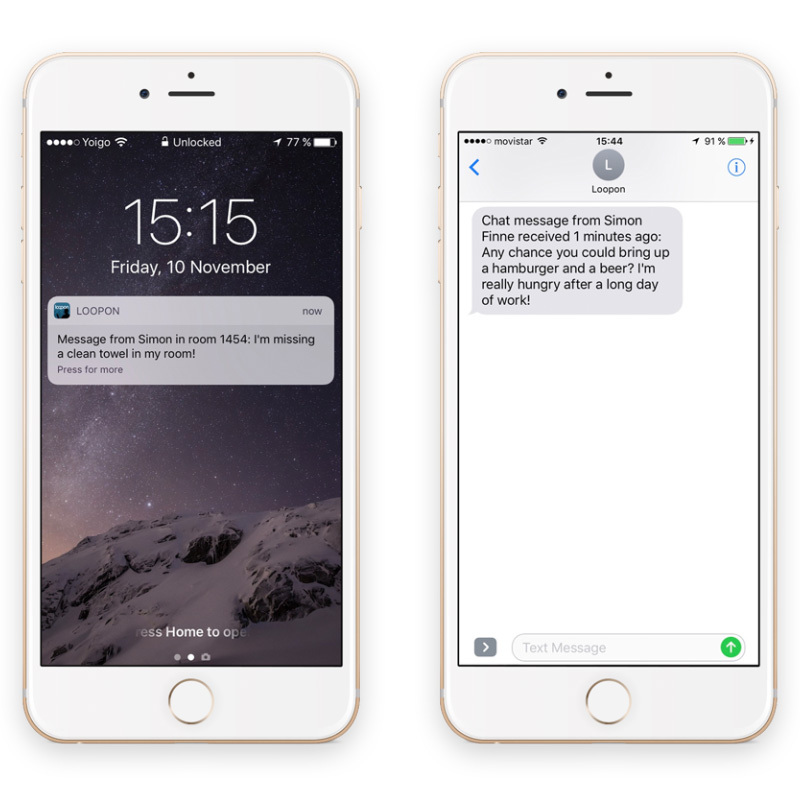 Real-time chat opens up a new kind of dialogue with the modern hotel guest, where the traveller seamlessly can communicate with the hotel right from her phone. 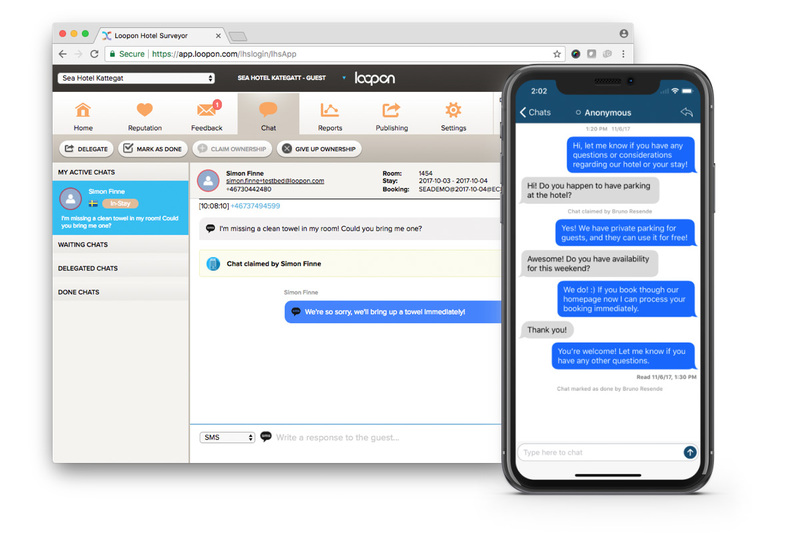 With the real-time chat we help you streamline how new guest requests are handled, while the amount of phone-calls & reception conversations overall decrease. The result is a faster and more efficient service. Minimise negative reviews on OTAs. By using a tool to handle negative comments while your guests are still in the hotel, you will reduce the probability that the comments reach OTAs and damage your hotel’s reputation and future bookings. Your guests are likely to receive better service and enjoy their stay more, leading to likely positive reviews. 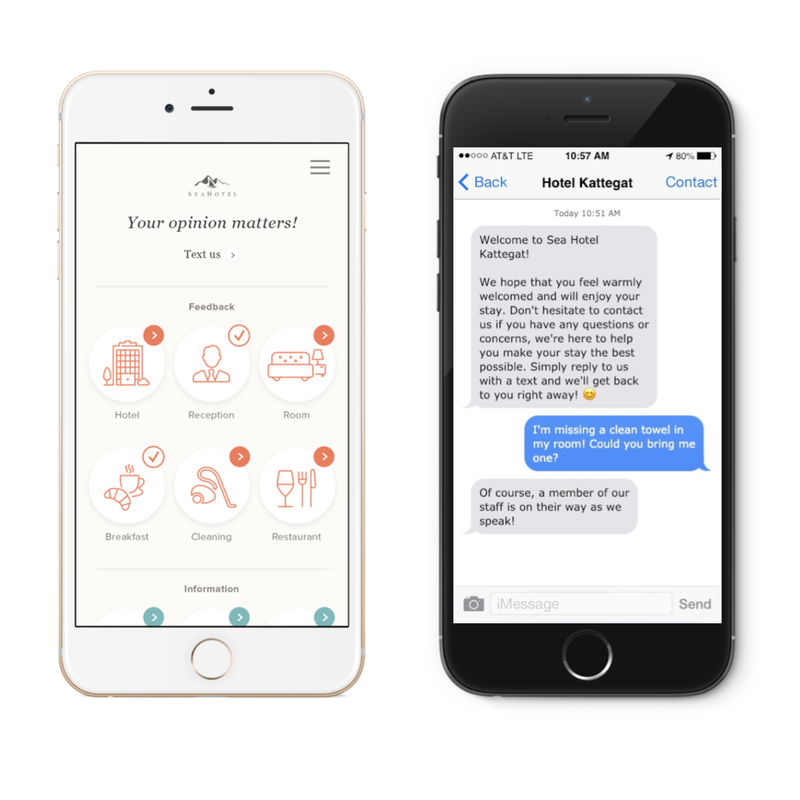 With a simple and always accessible platform to handle guest feedback and chat, it's a natural step to also provide concierge services such as room-service in the same place. In-Stay is the perfect tool to generate more on-site revenue. In-stay is the second part of the Guest Journey. It is the entire time from when the guest arrives to when the guest leaves. The communication channel enables the guest to receive faster service, ensuring their best stay possible. It also enables new revenue channels for the hotel while improving the quality of the stay in an innovative way.